The killing of a young African-American teen by a neighborhood watch volunteer is putting neighborhood watch groups in the spotlight. The tragedy in Sanford, Florida became front-page news across the country—even replacing the near-constant stream of coverage on the Republican presidential nomination race. The homeowners association (HOA) of the neighborhood where the shooting took place—and where the father of the young victim, Trayvon Martin, lives—is facing questions. Was its volunteer watchman authorized to carry a gun on patrol? Did he have any training? And did he do enough to avoid the incident, much less its tragic ending? Is the homeowners association responsible for his actions? Many HOAs carry liability insurance on their directors and officers of the board, but not always on the individual volunteers who carry out business on its behalf. 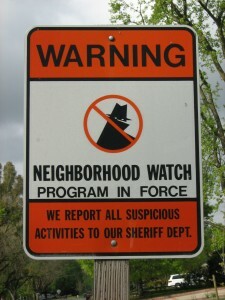 The watchman, George Zimmerman, was the volunteer captain of the neighborhood watch. According to legal experts, if the association knew Zimmerman regularly carried a weapon while on volunteer patrol, it could provide a basis for a lawsuit (Martin’s family has not yet sued the association). Using professional security firms can help avoid these types of situations. And besides, if there are security and safety problems in the neighborhood, professionals are better equipped than untrained volunteers to handle them. As increased foreclosures lead to lower income and reduced budgets, some homeowners associations are relying more on volunteers for services they once paid for. They may not realize the importance of running background checks on volunteers. Consulting with an insurance provider about additional coverage is a good idea, too. 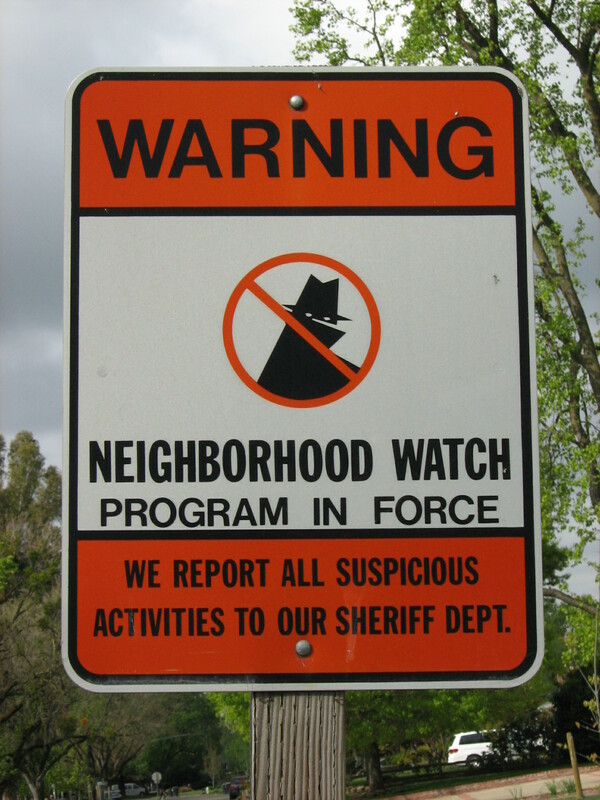 And finally, ask local law enforcement or an attorney before starting any sort of volunteer neighborhood patrol. Whether you need to ask for a favor, solicit a donation or delegate a task, the art of persuasion can help you do it better. Unfortunately, most of us don’t know the basics of persuasion, so we either fail at asking for something, or we avoid it altogether. It doesn’t have to be that way. 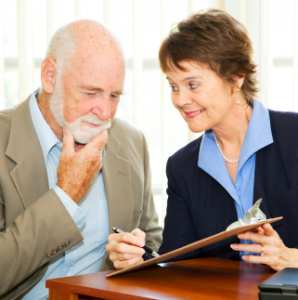 Persuasive powers can be yours if you follow these tips. Try them next time you ask for something from a donor or volunteer. You may be surprised at your success. Use reciprocation to your advantage: It takes effort, but when you give of yourself, it’s a lot easier to ask for something in return. So when someone asks for your advice, your time or your expertise, give willingly, and you shall receive. Adjust your framing: Framing is a popular tactic in business and politics. How an argument, incident or request is framed makes a huge difference in perception. For example, opponents of inheritance taxes call them “death” taxes. Think about whether you are putting something in a negative or positive light. Tap into the power of timing: They say timing is everything. And they’re right! Do your homework to make sure the timing is right before try persuading someone to do something. Don’t ask a donor for a gift when they’ve written a big check in the past six months. Check your volunteer logs to see who has not been putting in hours lately—maybe they’re feeling a little guilty about it, and are ready to give some time again. Congruence is compelling: Congruence means coming together in agreement. Try framing your requests as though congruence was already happening. You know that salespeople often close the deal long before you’ve made up your mind. They’ll start wrapping an item and before you know it, it’s yours. Try assuming a donation will happen, or a volunteer will sign on, shake their hands, and seal the deal. Think of it as helping them make a great decision! Whether you’ve been in volunteer management for decades, or are starting a new position, you are always in the position of needing to earn the respect of your volunteers. Present a professional appearance. Everyone judges a book by its cover—fair or not, it’s human nature. Put your best possible self forward by dressing well, having good manners and using appropriate language. 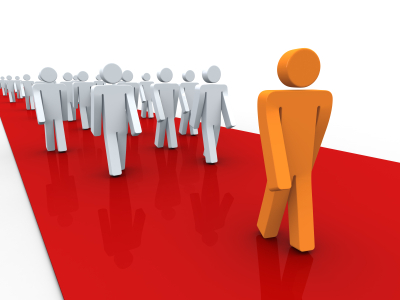 If you need a refresher, take an etiquette course for business people. Embrace constructive criticism. Nobody likes to be criticized, but most of us have room for improvement. When a volunteer makes a suggestion or even criticizes your actions, take a moment before you react. Hear what they’re saying, and turn it into a positive action. Don’t be self-denigrating. Have some love and respect for yourself! Start by taking good care of your health. Get enough exercise and sleep. Avoid belittling comments about anyone, but especially yourself. Do your job well. When volunteers see you are competent, your respect level will zoom. No matter what age or how many years of experience you have, you can establish yourself as the best at what you do. It may not happen overnight, but doing a good job is always worthy of respect. Respect your volunteers. The old saying goes, “you get what you give.” And it’s true: if you don’t respect your volunteers, they will feel it, and will likely react in kind. It’s never too late to make a new effort, with every volunteer—new or old—even if your history with a particular person is less than pleasant. Following these tips can help you establish yourself as a professional, competent and respectable volunteer leader. Your relationships, performance and effectiveness can be improved when you are well-respected by your volunteers.